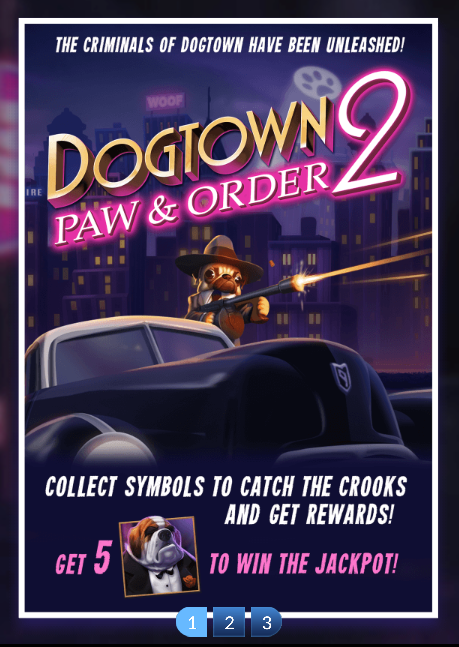 This mobster-themed slot machine will have you collecting the criminals’ symbols to earn rewards: free spins, chips, and gold bars. 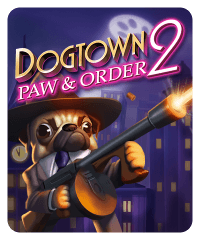 Note: both Pugsy (pug) and Bruno Corlebone the Dogfather (bulldog) pay out gold bars when you complete their requirements, Sinead O’Collar (cat) rewards free spins, and both Veronica Von Flea (afghan hound) and Walter “Scratch” Diggs (bull terrier) reward chips. 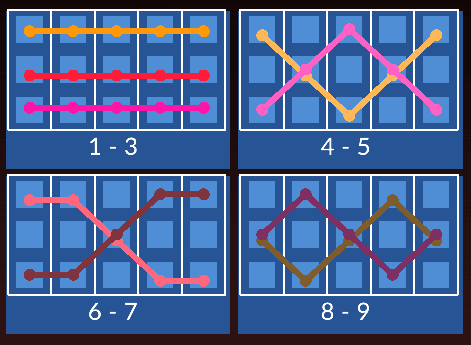 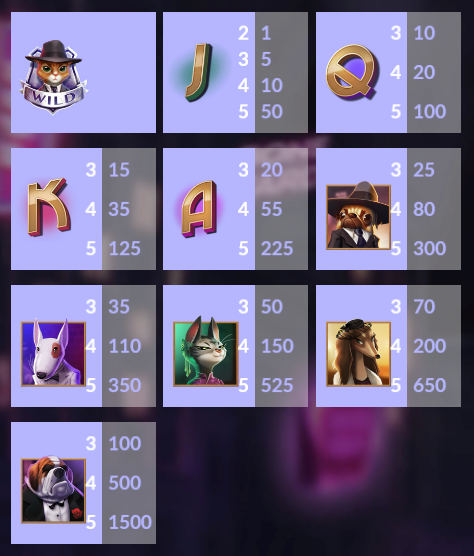 The amount you receive is based on how much you are betting throughout the entire time you collect the symbols.